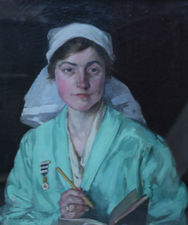 Helen Margaret MacKenzie (1888-1966) was a painter and etcher who exhibited between 1905-1939. Born in Elgin, Scotland, she studied at the Royal College of Art. She was ROI in 1923, ASWA 1918, SWA 1923. She lived in London. 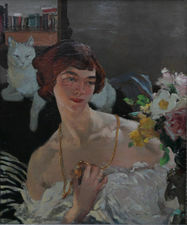 She exhibited at The Glasgow Institute 7, Cooling Galleries 1, Liverpool 1, Manchester 2, Royal Academy 22, Royal Institute of Painters in Oil 46, Society of Women Artists 38.